most desirable vacation spot around the world. Both sites teamed up to bring the top 10 trending travel destinations people are saving on Pinterest, along with family and group friendly Airbnb homes to stay while exploring these cities. The two websites analyzed more than three million listings on Airbnb, alongside three billion travel ideas on Pinterest across 65,000 cities. According to their data, people this summer are not actually seeking out the beaches so much as “cold-but-green” destinations like Iceland and Scotland, whose ratings went up by 365 percent and 430 percent respectively since January 2014; however, Sharm El-Sheikh succeeded in grabbing the first ranking on the list, outdoing both locations. Airbnb said people pick Sharm El-Sheikh as their favorite destination to indulge in some summer activities like snorkeling and scuba diving. Following Sharm, Tenerife in the Canary Islands came in second and Courchevel, in France, marked third place. Travel location searches on Pinterest grew to reach 37 percent since December 2016 while budget-friendly travel searches rose to reach 300 percent. Despite all this, Thomas Cook announced last week that it cancelled all of its scheduled flights to Egypt’s Sharm El-Sheikh, as a result of the continued UK Foreign Office warnings over potential terrorist incidents, the company is instead increasing flights to Hurghada and Marsa Alam. 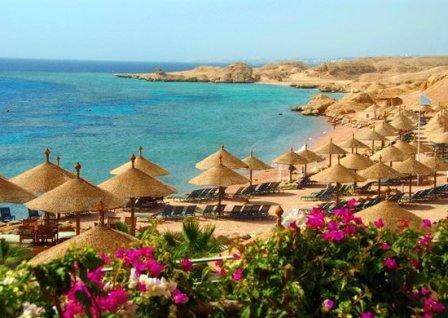 Sharm El-Sheikh’s tourism had been suffering after several terrorist attacks in northern Sinai and last year’s downing of a Russian holiday airplane, which killed all 224 passengers on board.